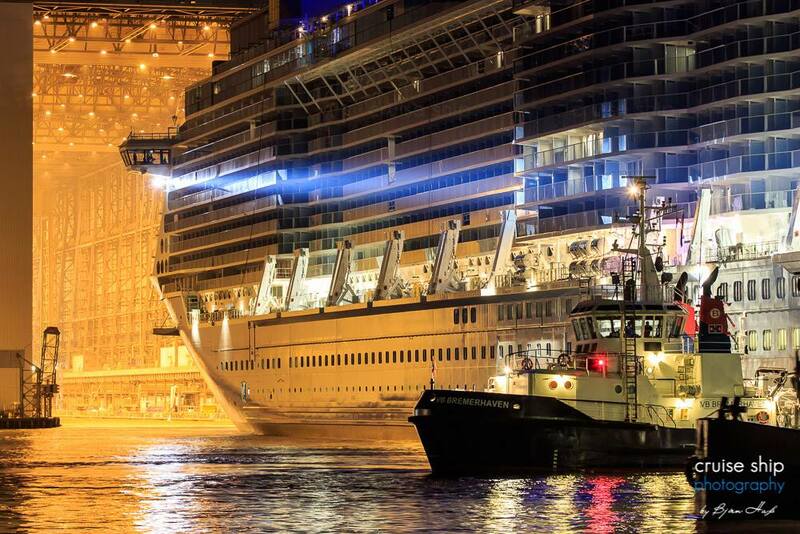 We begin with this photo of Central Park seal on Allure of the Seas, by Kinny Lee. 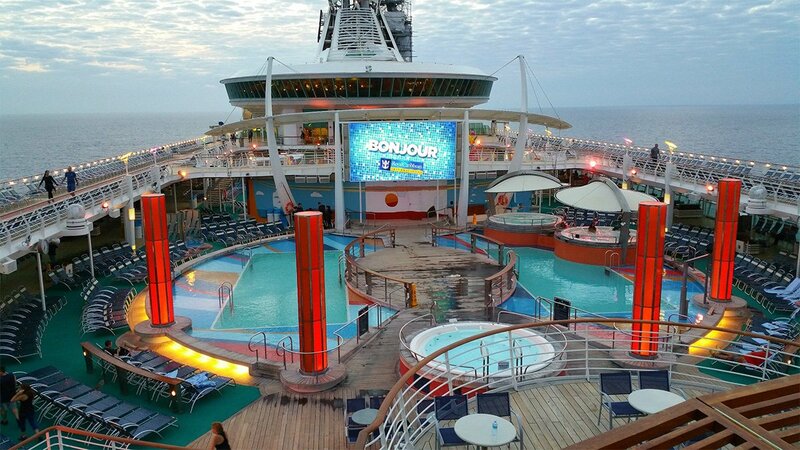 Next up is this sunset photo by Jean Francois "Jay" Bekono. 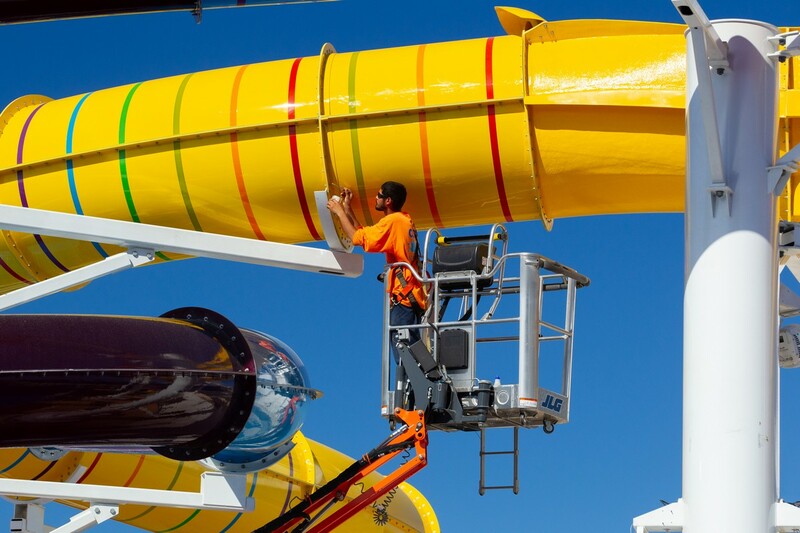 Troy shared this photo of learning to surf on the FlowRider on Harmony of the Seas. 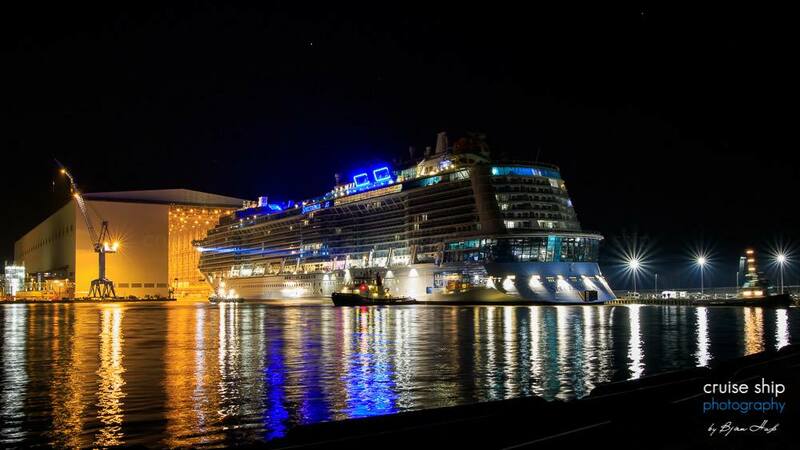 Gwendolyn Salzman shared this photo as her ship arrived in Labadee. 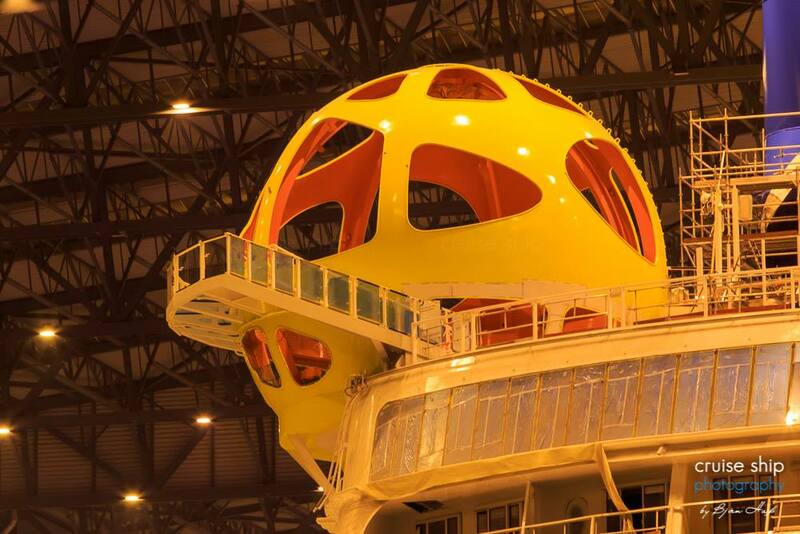 Here is a look at the Ultimate Abyss on Harmony of the Seas by Danny Paquot. 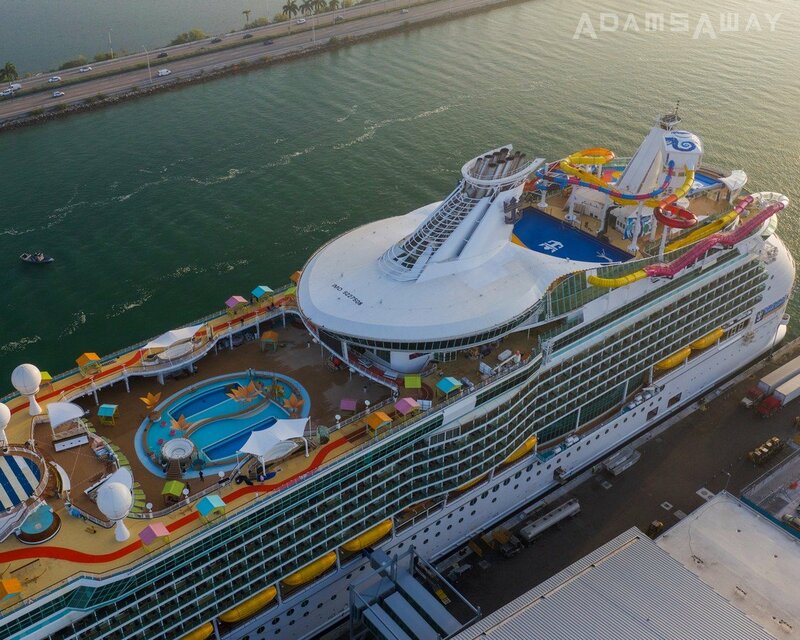 Check out this early morning view of the pools on Independnece of the Seas, by Jeff L.
Our final photo this week is by Michael Kho of Radiance of the Seas in Skagway, Alaska, as ssen from Jewel of the Seas. 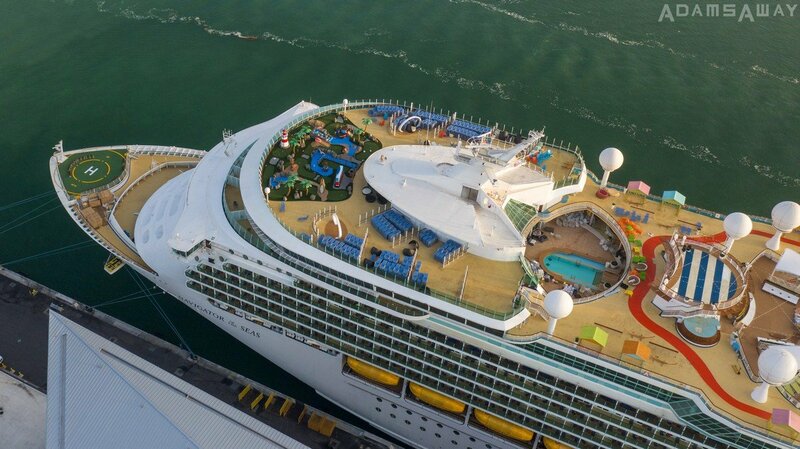 Royal Caribbean is offering 30% off every guest during the month March, with an additional up to $200 instant savings on cruises booked this weekend. 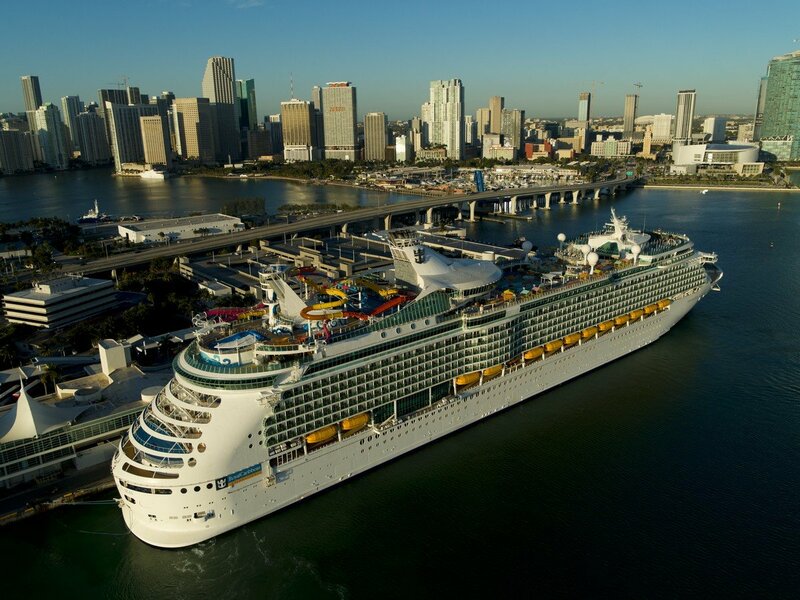 The Winter Cyber Sale is valid on sailings booked between March 1 – 3, 2019 and applies to select sailings departing on or after April 1, 2019. 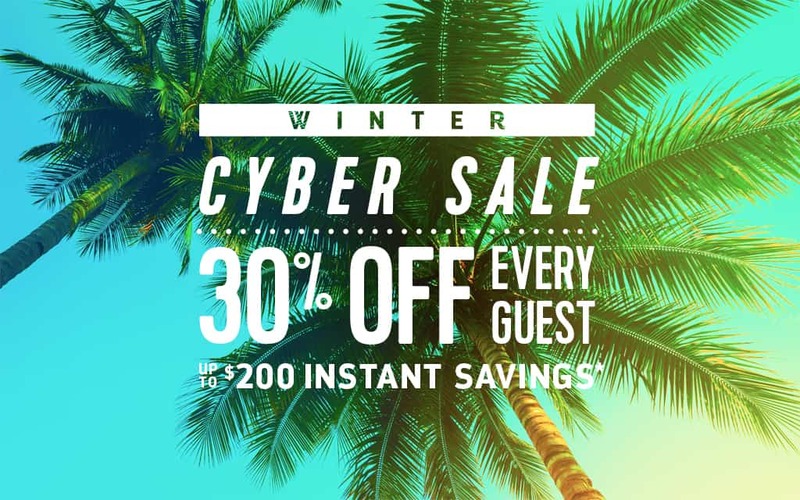 30% Off Every Guest is combinable with Winter Cyber Sale, promotional OBCs, NextCruise offers, Instant Savings, restricted discounts (for example, Seniors, Residents, Military), Promo Code driven offers, Free Upgrades, Crown and Anchor discounts and Shareholder Benefits. Winter Cyber Sale is combinable with promotional OBCs, NextCruise offers, Instant Savings, restricted discounts (for example, Seniors, Residents, Military), Promo Code driven offers and Free Upgrades but not combinable with Crown and Anchor discounts and Shareholder Benefits. 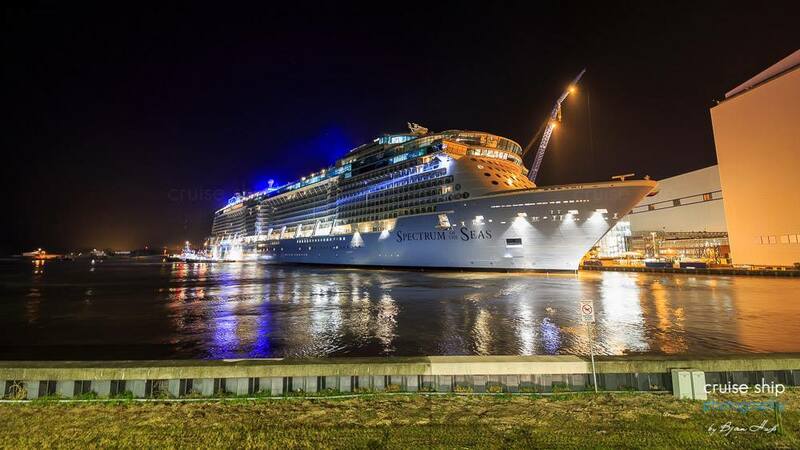 Offer is not combinable with any other offer or promotion, including, but not limited to, Standard Group, Interline, Travel Agent, Travel Agent Friends and Family, Weekly Sales Events, Net Rates. 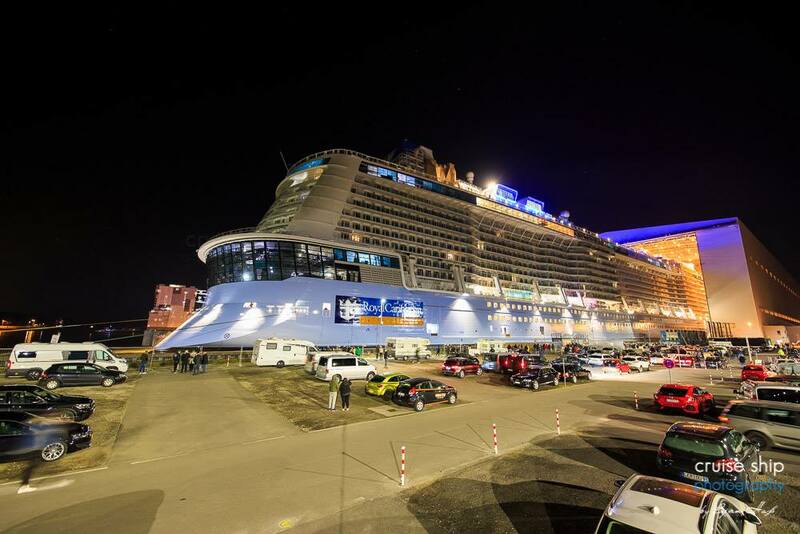 Promo Code driven offers are based on select ships and sail dates and must be applied at time of booking, limit one promo code per booking. 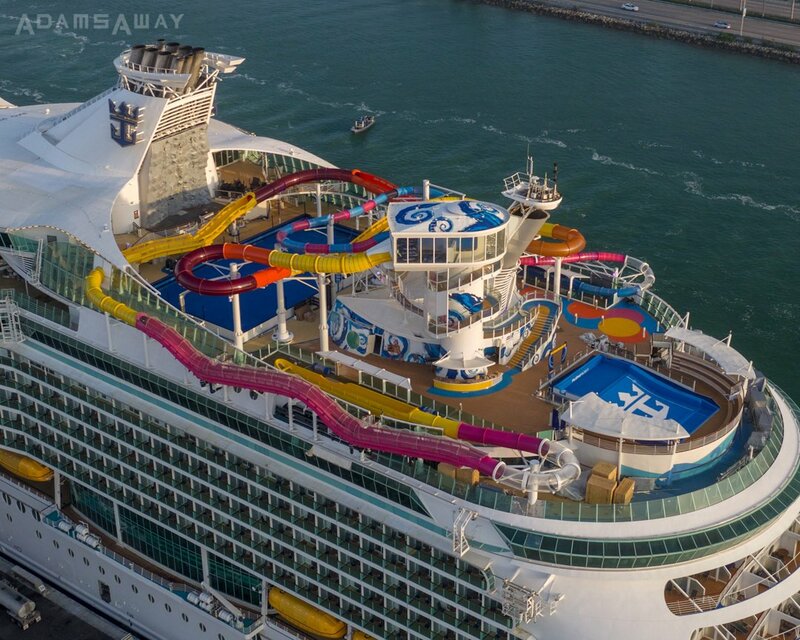 Royal Caribbean's Navigator of the Seas arrived in Miami today, following a $115 million bow to stern upgrade that brought new features includes water slides, dining venues, activities and more. 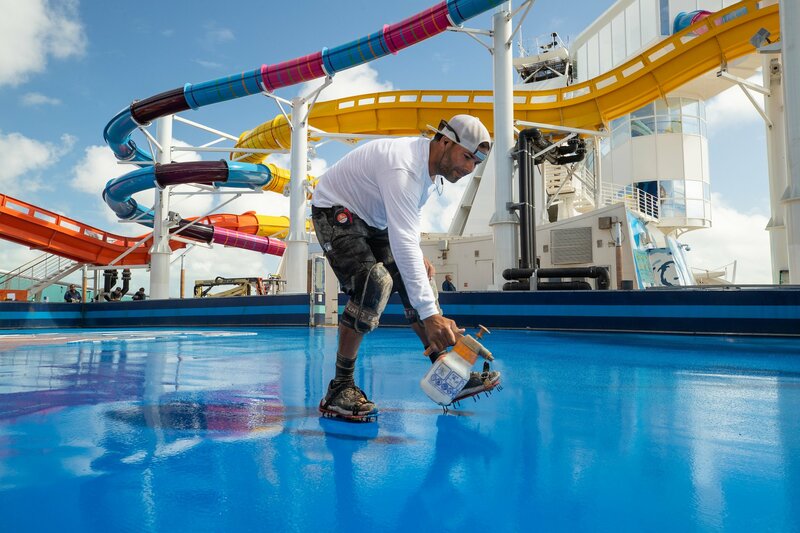 Royal Caribbean invited us to join the ship for a two-night crew shakedown sailing that tested out some of the new additions onboard, while completing work in other areas. 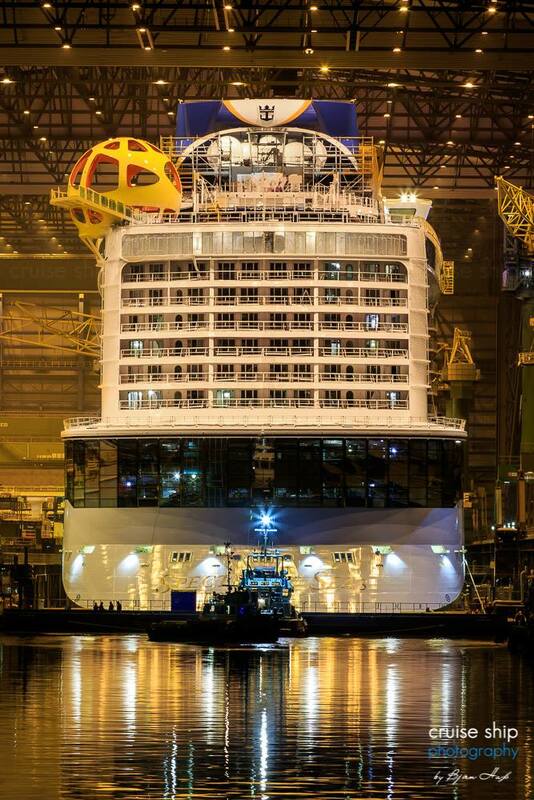 Here is a rundown of many of the changes, large and small, to Navigator of the Seas. 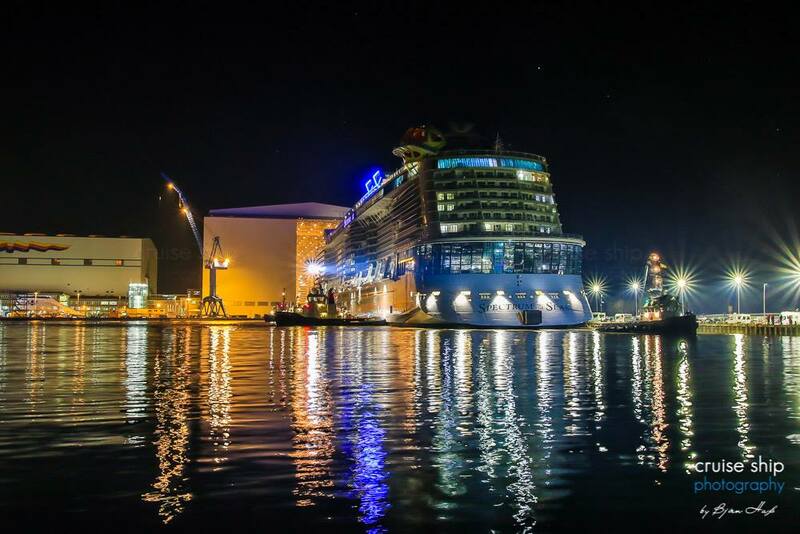 Earlier this week, Royal Caribbean's newest cruise ship floated out of its Meyer Werft shipyard, and we have a first look at what the ship looks like lit up at night. 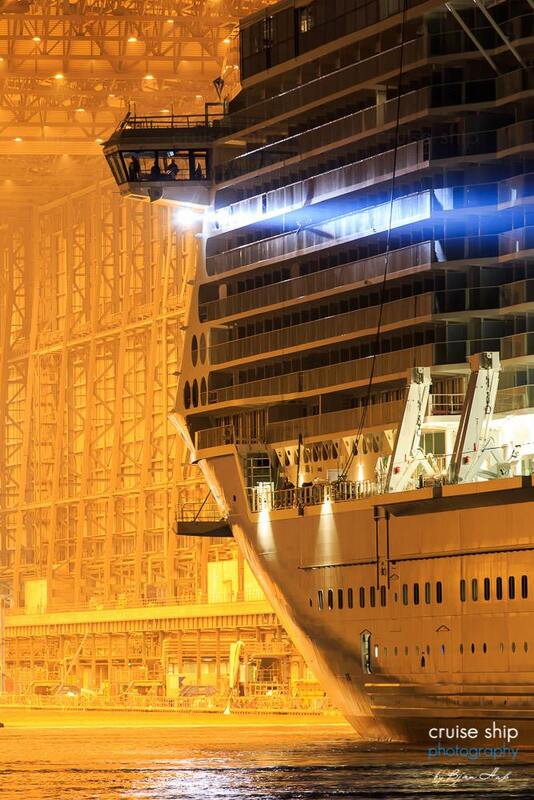 The talented photographer, Björn Haß, sent us these great shots of Spectrum of the Seas. All photos by Björn Haß. 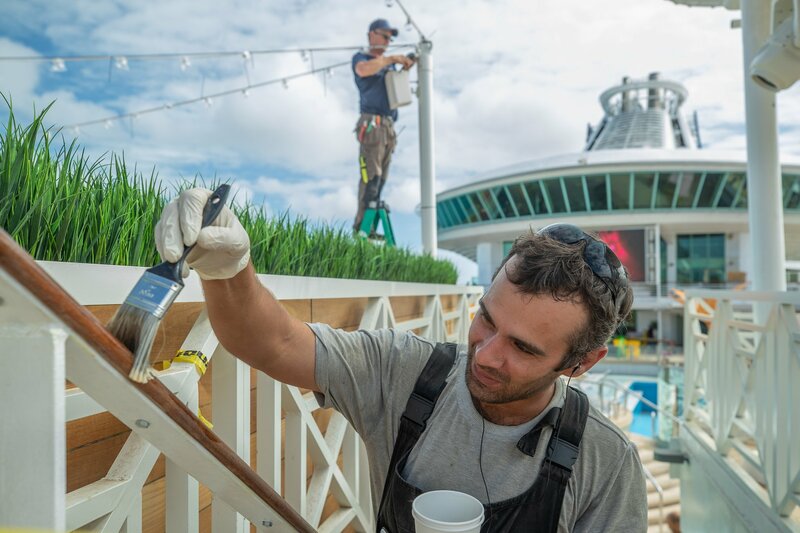 Royal Caribbean is just about complete with their $115 million amplification and the cruise line has provided a look at their team hard at work finishing up the work. 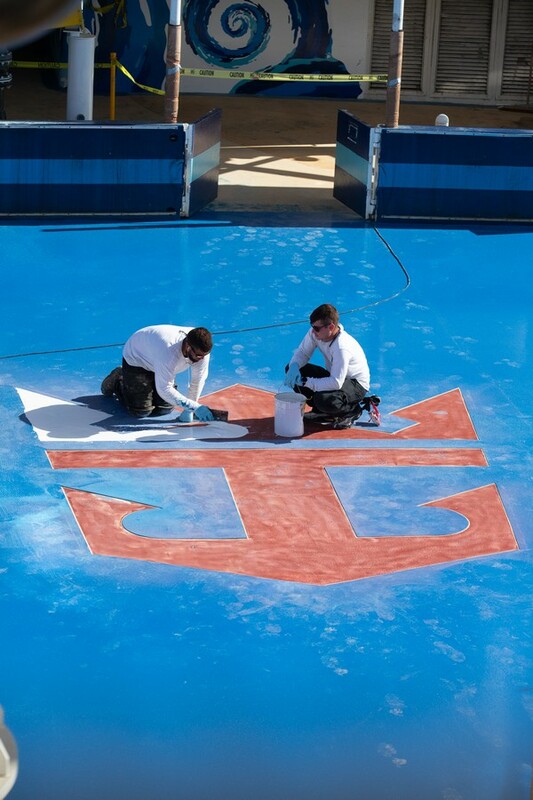 The ship will welcome its first guests later this week on Friday, March 1st. 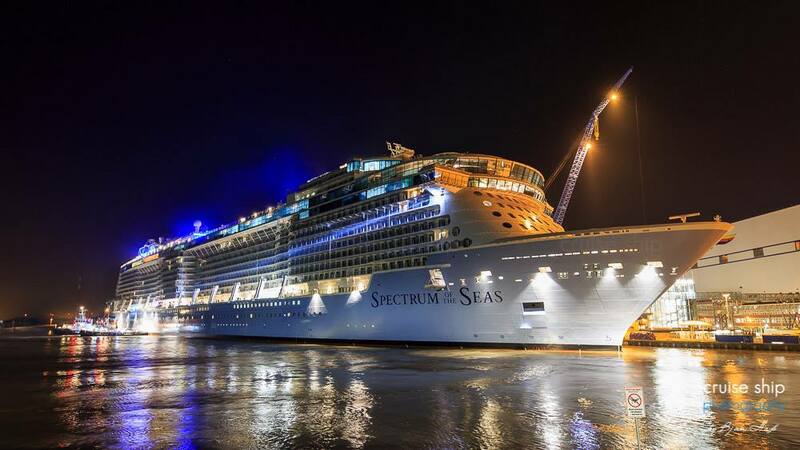 Royal Caribbean Cruises Ltd. has been recognized by the Ethisphere Institute as one of the 2019 World's Most Ethical Companies for the fourth year in a row. 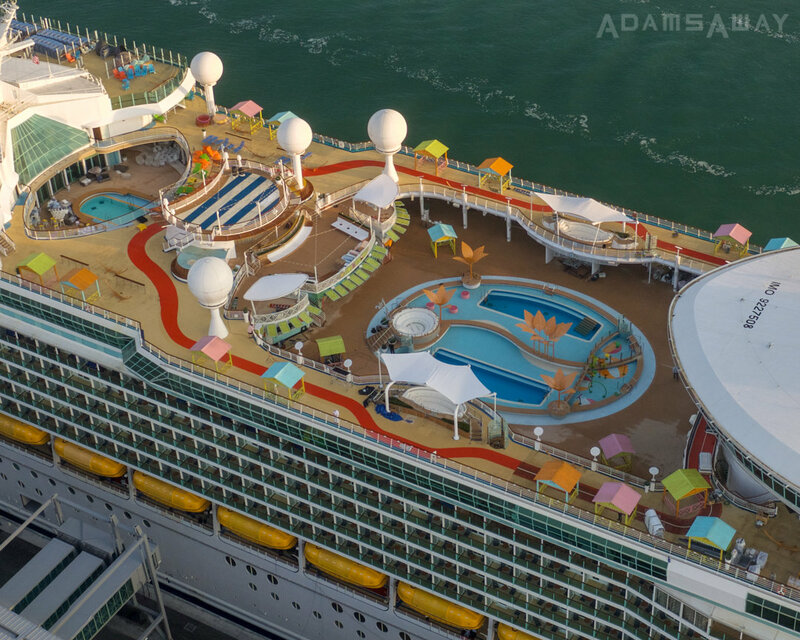 Royal Caribbean's revitalized Navigator of the Seas arrived in PortMiami earlier today after a multi-million dollar upgrade, and here is a look some of the pool deck changes as soon from the air. 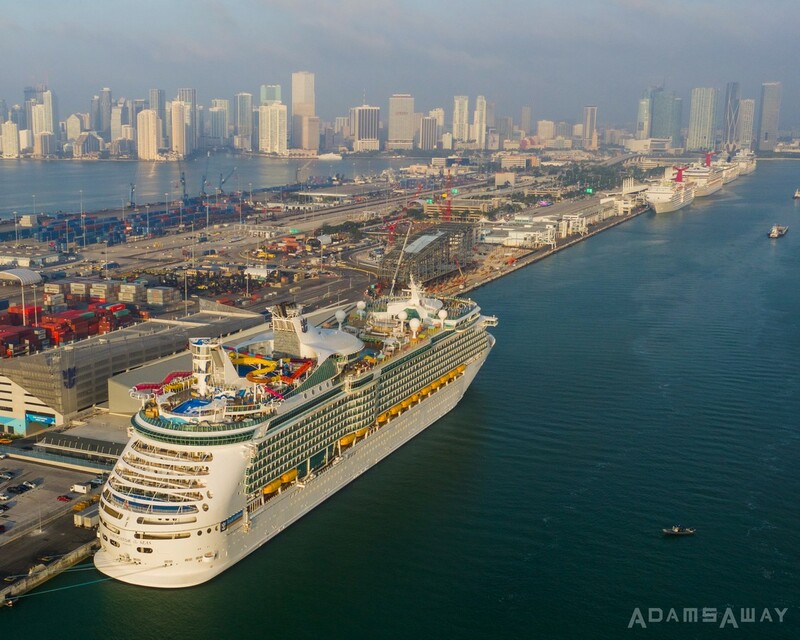 Photographer AdamsAway shared fantastic photos with us of Navigator arriving into PortMiami and provided the first look at the finished product. 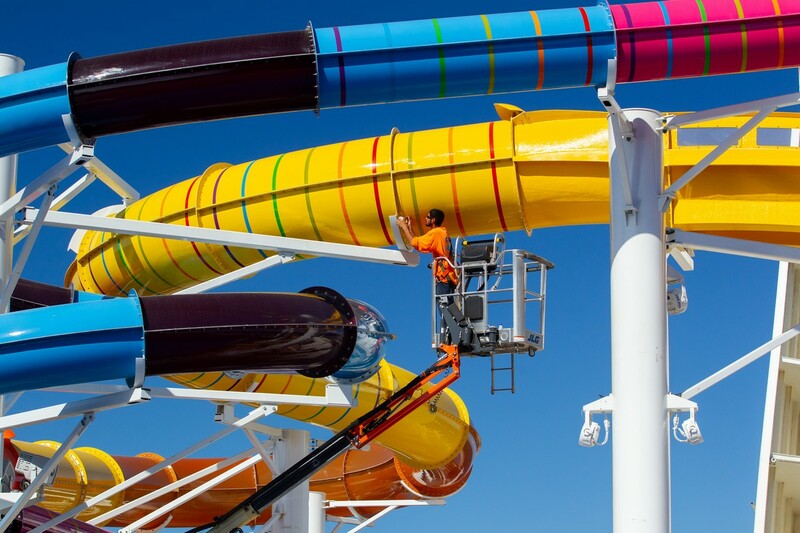 Royal Caribbean has spent $115 million in a major modernization of the ship that added The Blaster, longest aqua coaster at sea; Riptide, the industry’s only head-first mat racer; a Caribbean, resort-style poolscape; To Dry For, the first standalone blow dry bar at sea, plus vibrant, new restaurants and bars. 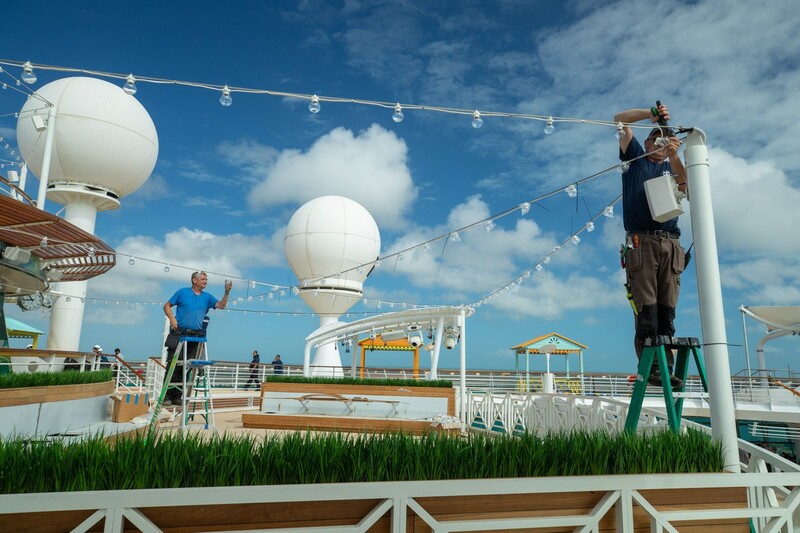 Navigator of the Seas will offer 3-night weekend and 4-night weekday itineraries from PortMiami and be the first ship to visit Perfect Day at CocoCay – the cruise line’s highly anticipated private island in The Bahamas – come May 2019. 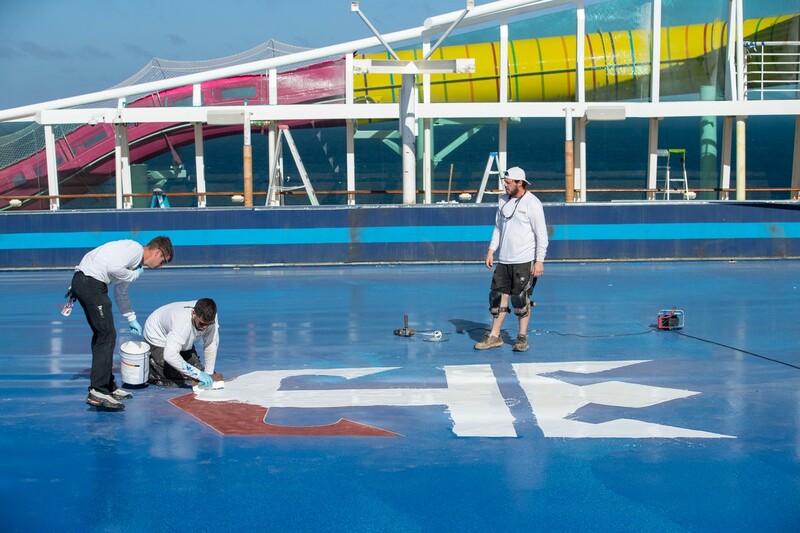 Royal Caribbean was named Best Cruise Line at the 2019 Elliott Advocacy Readers' Choice Customer Service Awards, an annual recognition of companies that offer outstanding customer support and service. For 2019, readers of Elliott Advocacy, a leading consumer advocacy site, nominated and voted for their favorite companies in 16 categories ranging from airlines to wireless service providers. 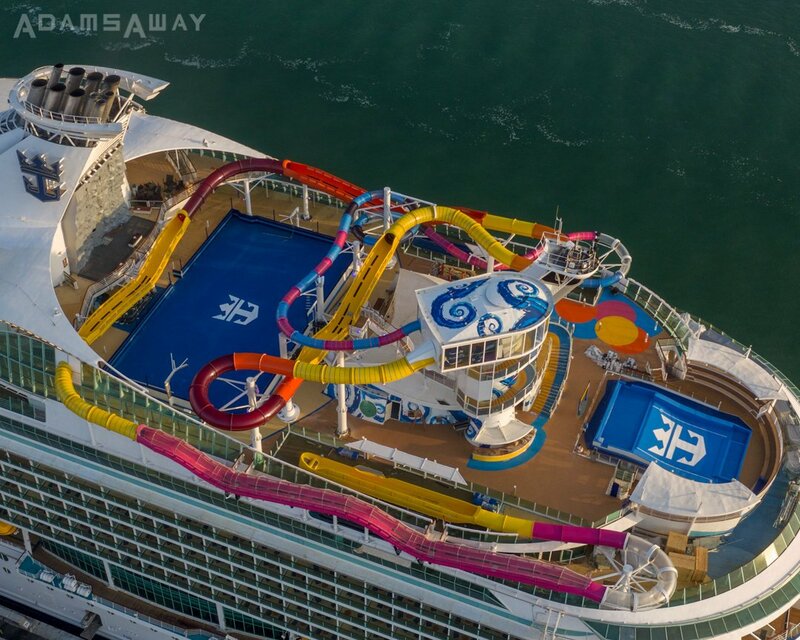 Royal Caribbean also won the honor in 2016, 2017 and 2018.